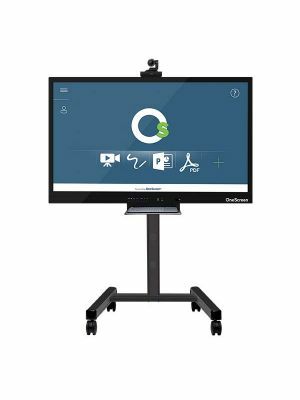 OneScreen T4 98'' Interactive Touchscreen Display is the very best of there is in collaborative communication markets. Designed by the popular ClaryIcon, it is equipped with remarkable functions, and offers a blend of functionality and quality. OneScreen T4 is a 98'' touchscreen panel with UHD resolution, 16.77 million color display, contrast ratio of 1300:1, and viewing angle of 176o. It features 10 point multi-touch with <8ms response time as well, enhancing the scope of interactive activities to multiple users. The T4 series is very intuitive and easy to use, owing to the Android 5 IOS. The interface is one commonly used by people in Smartphones and has all the required functions. Moreover, it also has MiraCast and Play Store so customization through apps and networking is possible for every user. OneScreen Annotate is an exemplary supporting software provided by ClaryIcon with its OneScreen T4 series. It enables a wide network of up to 50 people to be built, with all participants collaborating on the same whiteboard via their respective devices. Annotation tools, handwriting recognition, and Google Image search assist users in furthering their own skills and coming up with better ideas and solutions. 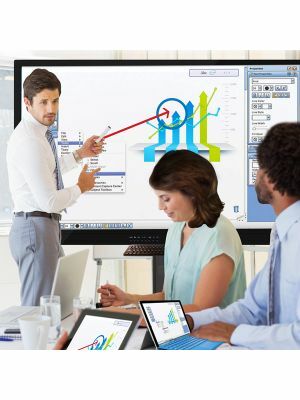 OneScreen T4 98'' Interactive Touchscreen Display is without any doubt an amazing collaborative communication solution. It is a must-buy for dedicated professionals seeking to revolutionize their workplaces through interactive facilities.